Complete with what looks like an X88 Monogram type motor. BRM Slot Cars Porsche 917K Team Gulf. 1/24 Scale Slot Cars. Fully Tested & Working. Great 1/24 Slot Racer. Near Mint! BRM Slot Cars Toyota 88C Taka-Q. 1/24 Scale Slot Cars. Fully Tested & Working. Great 1/24 Slot Racer. Near Mint! 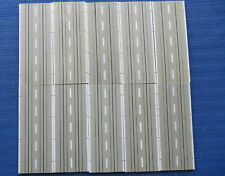 Scalextric Bscra Type 1/24 Scale Slot Car Bodies. Ideal Scratchbuilder. One is Unused. STRONG MOTOR. The exact item in the photos. Resin BRM V16 Scratch Built Scalextric 1/32 good condition. Condition is Used. Reluctant sale. Fly Scalextric Dodge viper Marcos 600 LeMans 96. Condition is Used. Dispatched with Royal Mail 2nd Class. BMW 2002Ti bodykit 1/32..............end of line / clearance. 1:32 scale slot bodykit. BMW 2002 Ti kit from Ocar Scale Replicas. Clearance item. Kit contains: Detailed resin body, windows, interior, driver, front lights, decals. Carrera Plymouth Road runner With Spinners 2005 Mint Box Red. Condition is Used. Dispatched with Royal Mail 2nd Class. Unused example of the well detailed Ford Mustang GT350 (1965-66 style) by Supershells which was later owned by SRM. Body is crystal clear. the yellow light pictures have been created in order to see detail of shell. Next up, here's the superb Ferrari 275P from Monogram/Revell, No.21 as entered by the Ferrari works team and driven by experienced campaigners Brit Mike Parkes and Italian Ludovico Scarfiotti in the 1964 Le Mans 24 Hours. Airfix 1/32 MRRC Cortina Scalextric slot car .In good condition box is excellent Untested but looks all ok Thanks for looking. 1:32 slot bodykit. Spa 1976 Gulf liveried Vauxhall Magnum from Ocar Scale Replicas. 1/24 Scale Slot Cars. Fully Tested & Working. Great 1/24 Slot Ex-Racer. ( Rear wing is detachable ). I have fitted a New Bodyshell, so it has a change of Race number. You will receive ONE chassis which has two axle bearings and a motor retaining clip, your item will be mint sealed, never opened. That's nearly 50 years of being sealed. The chassis has a drop arm and a wealth of brass tube should you want just these parts. 1:32 slot bodykit including chassis, motor and guide. Morgan from Ocar Scale Replicas. Kit contains: Detailed resin body, window/screen, interior, steering wheel. Also includes PCS 32 chassis, Mabuchi 14K motor and guide with braids. It failed to finish and went out in the twelfth hour when in 22nd position. LMM resin models are famous for their superb detailing, so again I'll let the photos do the talking. All have been displayed in dust-free conditions, out of direct sunlight and this is a pet-free and smoke-free household. NOTE the blue wheels which I have painted. Looks great. The cars are always in great condition, with rebuilt chassis and new parts if needed.If not perfect, I say so! They must have been heartbroken having to retire with electrical problems in the very final hour of the twenty-four when in a most respectable 14th position. This good-looking model I made up from a pre-sprayed MMK kit, adding all the detail to give what I feel is a very satisfactory result. SCALE 1/40. (see pictures).. LOVELY ITEM THAT WILL SHOW WELL. The mighty Ford 4.3 litre V8 engine cried enough in only the fourth hour when in a lowly 32nd place. All have been displayed in dust-free conditions, out of direct sunlight and this is a pet-free and smoke-free household. Here we have THE TOMY AFX FORMULA 1 CARS FROM THE FORMULA 1 WORLD SERIES SET,THERE ARE TWO COMPLETRE CARS WITH TWO EXTRA BODIES FOR RACING,ALL IN VERY EXCELLENT CONDITION AND MOTORS RUN WELL,SEE PHOTOS. I'm having a clear out of some of my models and spare parts as I'm running out of room so please check out my other listings. The Hornby / Scalextric Audi TT is untested as I've only ever had it on display and don't own a scalextric set in order to test it. It's in great condition with only very slight wear. Scaleauto Rear ProComp Wheels & Tyres. NSR King 38 Motor (38000 rpm). Superb Race Winner 1/24 Slot Racer. As an Ex Racer, imperfections are to be expected & are included. 1/24 Scale Slot Cars. Fully Tested & Working. Racer Sideways Limited Edition Mustang Miller 051/264 sealed.